Particulate respirator and surgical mask. NIOSH approved as a Type 95 respirator. Meets CDC guidelines for TB exposure control and helps reduce exposure to airborne particles. Incorporates a 3M-patented, flat-fold/three-panel design that gives it a comfortable fit. 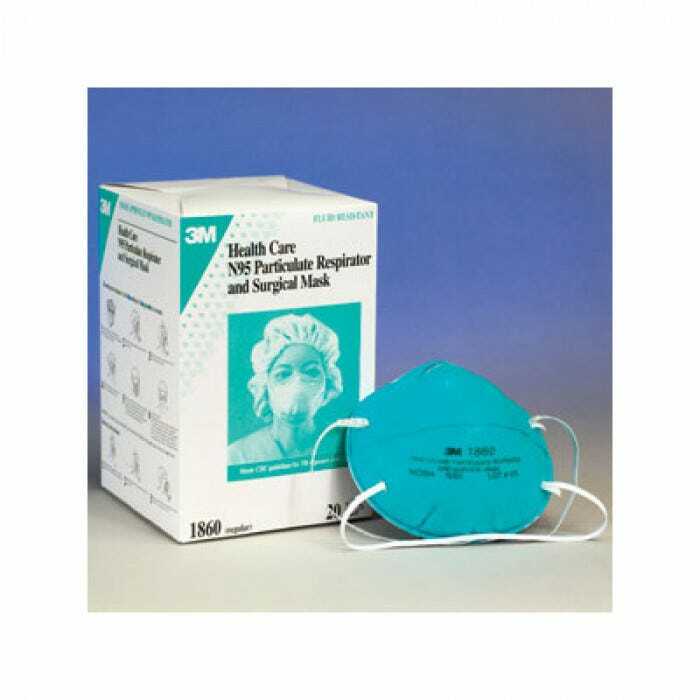 Its unique design fits most face sizes and head shapes allowing standardization to a single respirator, for patient care and throughout the rest of the healthcare facility. Can be used during laser surgery, electrocautery and other procedures using powered medical instruments to help reduce wearer exposure to airborne particles generated during these procedures. >99% BFE1 to help reduce patient contamination caused by exhaled microorganisms. Fluid resistant to help reduce potential exposure of the wearer. Does not contain either natural rubber latex or dry natural rubber as components in the product or its packaging and is hypoallergenic to reduce chance of allergic reaction.